Day 266—24 July 2012 Night 9 I’m all done! And, it’s not a moment too soon—starting tonight, I have a new project (stay tuned). There were two times that I discovered a small cluster of pieces in the wrong place. 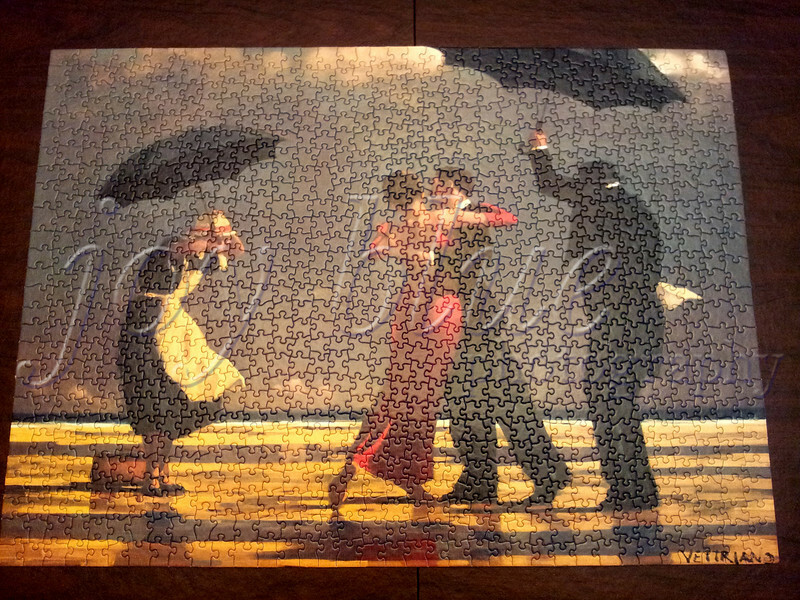 That explains why I thought I was missing pieces—the next pieces really didn’t exist! The real daily treats are here: http://www.joybluephotography.com/Project365/P365-Outtakes/22891769_TFwWV6#!i=1985433704&k=sctGqPF and http://www.joybluephotography.com/Project365/P365-Outtakes/22891769_TFwWV6#!i=1987168426&k=ZrcBJvd.